• Last weekend, my office presented a House citation to Benjamin Lakavage during his Eagle Scout Court of Honor. He is the son of Angela and Andrew Lakavage and a member of Troop 300. 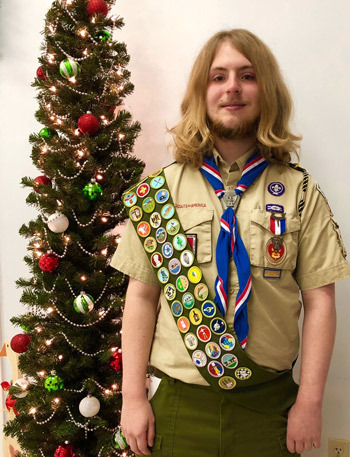 For his Eagle Scout project, Benjamin built a PET (Personal Energy Transportation) mobility wheelchair and filmed the process in order to make training videos. The videos will be used by Mobility Worldwide, which designs all-terrain access wheelchairs for those overseas without access to such items. Congratulations, Benjamin!